Coldness and melancholy, solaceand pride. 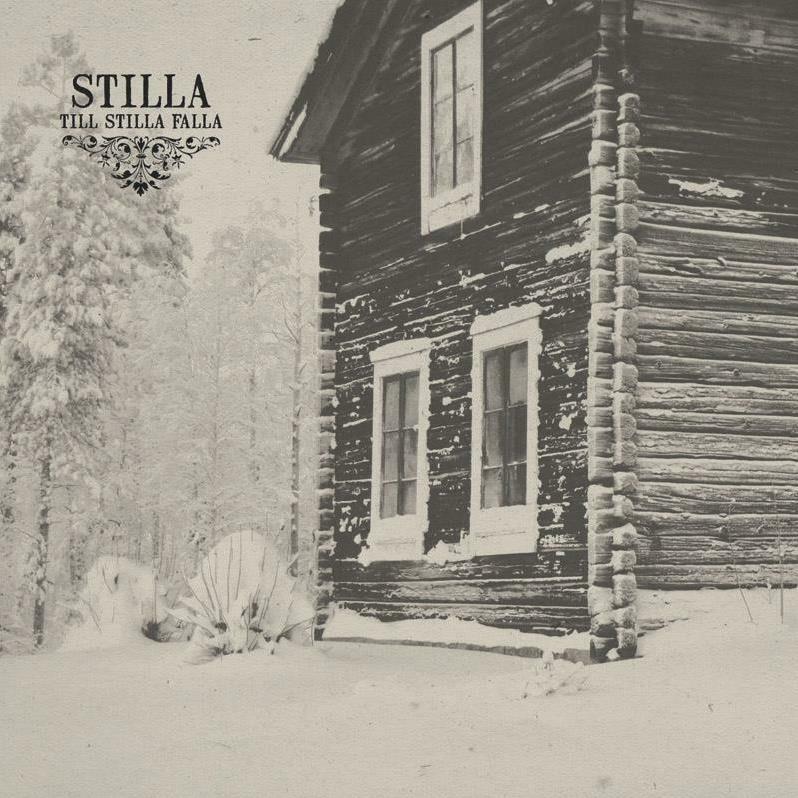 Such conditions and feelings are fully combined under the banner of Scandinavian underground music with the newly born STILLA. A Swedish entity that consists of Pär Stille (BERGRAVEN) on guitar/keyboards, Andreas Johansson (DERANGED) on bass, Andreas Pettersson (DE ARMA, ARMAGEDDA, LONNDOM, WHIRLING) on vocals and Johan Marklund (DE ARMA, SORGELDOM, WHIRLING) on drums, who have just released their profound debut album ‘Till Stilla Falla’ through Nordvis produktions. An album of stargazing and transcendental musical landscapes with poignant riffing, bounded by some really striking bass lines, immense keyboards and ghastly utterings, elements that are surely reminiscent of the old mystifying days of when black metal was first conceived and imbued along with the other mysteries of the northern nature. Tidlösa Vindar: The song begins with a gloomy guitar strum that immediately transforms into an electrifying maelstrom of crystalline water sleet that feels as if it has fallen ferociously on the back of our necks . From early on, we are given the impression that STILLA bestowed their own, personal approach on the whole genre of black metal, artistic, recondite yet penetrating and cold as ice. Pär Stille’s guitar riffs are sinister and unrelenting, setting the tone for this fascinating piece of music, with short acoustic guitar segments underlying and enriching them to a great extent. The bass melodies are highly distinguishable and its use is quite remarkable to say the least, tied along to the distinctive but cleverly adapted keyboard sounds and effects ‘Tidlösa Vindar’ is given a foreboding, unearthly feel, one that is vastly present throughout, characterizing the record as a whole. Aldrig Döden Minnas: The start of this second track is as sudden as a violent explosion, an outpouring of harrowing and unsettling music that signals the beginning of a beclouded black metal journey that clocks above the ten minute mark. Despite the epic proportions of this composition, its every different facet makes this obscure journey, interesting and engrossing. Every riff is supplemented by additional layers and sounds, strengthened by Andreas Pettersson’s anguished screams that hold sway and grandeur. The deliberate acoustic segments are an expressive but contrasting element, that ebbs into the tremolo picking parts like a flood spilling over the edge of an icy surface, offering more of an old-school component, weighting the atmosphere even more as the ever repeating riff fades out along with the song. Askormen: A moody and melancholic guitar section combined by an austere but soulful melody is what the first two minutes of ‘Askormen’ consist of, until the perturbation of a razor-sharp guitar riff, that is so violently introduced. Dark and despotent melodies are frequently present in this song, managing to sneak some really beautiful and enchanting harmonies and resolutions (deriving both from guitar and bass). The song’s constant fluctuations are rather definitive, the intertwining sections blend greatly with the depressing, agonizing vocal delivery. All in all, a thourough and exceptional track. Hinsides Dagen: A distant, piercing scream is driving the rest of the instruments straight into an organized chaos, the sonic wall of guitars is producing a dark and oppressive maze with its torturing riffs still the song’s orchestration is ever balanced and focused. In addition, the rhythm section is definitely quintessential, from Andreas Johannson’s pulsating yet melodious bass lines to the frantic or accompanying at times drumming of Johan Marklund, culminating this musical delirium and completing its structure. The acoustic guitars are basically the album’s counterpoint, a welcoming antithesis between the cold and raucous black metal riffs that stab and whirr. What would seem a secondary element to some, almost incidentally comes to the forefront of the album without even staying to much. The ending of the song is also quite significant, with its slow and torturing guitar sound, harsh and disconsolate. Allt Är Åter: The pace is now slowed down, but the guitars keep on unleashing their razor-sharp continuous riffing, producing an ominous vibe that feels as if someone is after you. This frenzied tremolo picking, tied together with every chord and supplemented melody seems to gradually dragging you down to a rugged and deserted path. Such is the atmosphere this song evokes. This kind of coldness keeps our skin frozen under the concealing Swedish sun but it is also what will put a broad smile on our lips after the album is over and we start to feel the reflection of our darkest and most misplaced emotions through it. 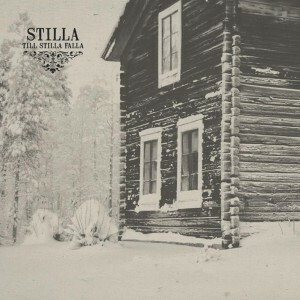 Till Stilla Falla: The self titled song was chosen to be the final chapter to this nordic journey. An aggregation of extreme and shuddering musical elements, a preternatural conception, abstruse yet intriguing. Once again the atmosphere is really heavy on this one, the transition from the highly aggressive beginning to the acoustic interlude and back again feels rather welcoming now, evoking a feeling of temporary tranquility before bursting into the trembling whirlwind of Par Stille’s distorted guitar. Yet those two ingredients are wisely twined together, with the one flowing naturally into the other, subjoined by desperate voicings and howls that make the music even more tense and haunting. Disposed to melancholy, ‘Till Stilla Falla’ is about as bleak and hopeless as it could be. What STILLA offer with their debut album is an eerie and mysterious outcome, a carefully and passionately written record so complete that very few artists would be capable of producing in this day and age. ‘Till Stilla Falla’ is bearing many important influences pertaining the legendary Scandinavian tradition but still maintaining a strong identity of its own. In conclusion, I have to add that with this album STILLA, proved that it is still possible for a band to re-capture a spirit that resembles to the unearthly but so inspiring northbound magic that this kind of music invoked in the past. Not only that, but they have, most likely, achieved it already.